I will often say that persistence is perhaps the most important trait required by a successful guitar student but lets take it one step further by understanding how you become persistent. After all persistence is obvious in hindsight. When we look at successful people in anything it is all too easy to say they were persistent therefore they succeeded but the real question is how and why did they persist. There are basically three categories of guitar students. Those who persist without any conscious decision, those who consciously persist and those who do not persist. Those who persist without consciously thinking about it are the lucky few. Guitar practice just happens. Each day they will pick up their guitar and work on the current skills and songs giving it no more thought then eating breakfast. Its just part of their day and requires no motivational self talk or reminders from parents or well meaning friends. If this is you think yourself very lucky and the rest of what I am about to write is probably of no use or interest to you. Those who consciously persist account for the majority of successful guitar players. The real question any beginner needs to ask is 'How can I ensure I will persist?' Most beginners will give up and not because they made a conscious decision to quit. They just suddenly find one day that their guitar is sitting in the corner collecting dust then soon after it finds it way to storage or eBay. The persistent guitarists do something very different. They know that each day is a new day and requires a conscious effort to decide no matter what they will practice. They leave nothing to chance. They have B, C and D plans ready when required. The persistent guitar student is basically prepared for every occasion. He/She will keep a daily practice log, add a reminder to their calendar, enroll for weekly lessons, keep their guitar on a stand in view but most importantly dedicate a set time each day to practice. The persistent student knows that some days they will look forward to practice but other days they will search for excuses to avoid practice. They also understand that its a marathon not a sprint. Its consistent practice over years that makes great guitar players. They understand their biggest challenge is not the guitar itself but their own mind. The persistent guitar student learns to ignore the voice that says 'It's not worth it' or 'You have better things to do' or worse 'You have no talent so stop wasting your time'. Success on guitar is the result of persistence so your goal is to master the art of persistence. The good news is it gets easier. The longer you persist the less effort you will need to keep persisting. A good analogy I once heard is its like launching a Space shuttle. Getting it off the ground and outside Earth's atmosphere takes a lot of energy but once in space away from the Earth's gravitational pull very little energy is required. In guitar terms the launch period is probably about the first 500 hours of practice. After that you will cruise. 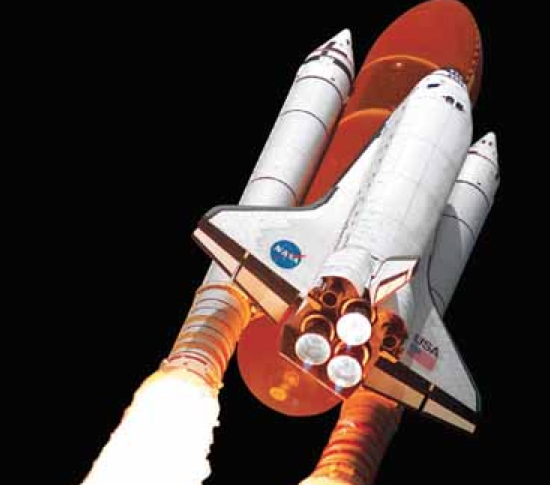 But remember if you stop and start it would be like the Space shuttle falling back to Earth and having to relaunch. Set a plan to practice everyday for a year or two and you will find yourself in orbit.